Want more info about New York University, Stern School of Business Full Time MBA? Get free advice from education experts and Noodle community members. Is there a wide variety of specializations available to study in the full time MBA program at New York University? 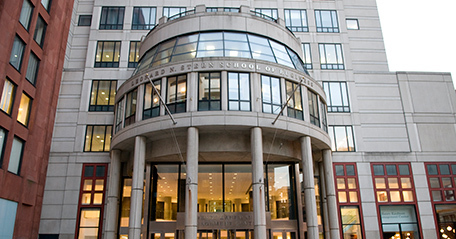 Which concentration is NYU Stern known for? What are some tips for essay topics at NYU Stern? Make sure to have a succinct story of what kind of career path you want to pursue, why you'd like to pursue it, and what will help you get there. What are blocks at NYU Stern like? Does NYU require full-time work experience when applying? As with most other top MBA programs, they don't require it, per se, but 99% of the people admitted have at least 2 years of full-time professional work experience.